You simply need to have this amazing app on your desktop, laptop or mobile browser and then marvel at how you can track the activities in no time. 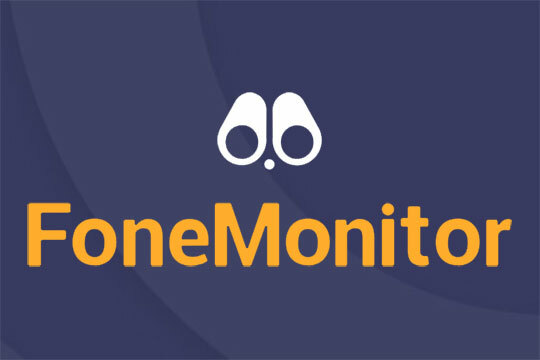 From call logs to messages, WhatsApp, Facebook, Twitter, Instagram and other notable social media sites, FoneMonitor ensures you check on the content here without bothering anybody else to act on behalf of you. But one thing must be ensured- to track the activities, there’s a need to verify the phone after you have installed FoneMonitor there. Recommended for you: 5 Tips to Check if Your App is Ready for Submission to the iOS App Store. So, you get to read all those text messages from Android and iPhones using this app, after you have tracked the respective devices. As an add-on, you can also play and then download the MMS section. Now that you have got the device you are monitoring on, finding the exact location of it is easy. Also, you can delve into the route history of the device as and when required. At the time of tracking phones, call logs are usually the foremost things you wish to track. With FoneMonitor, you can get access to the detailed list of all the calls made, received and also missed in the tracking dashboard. If not at the workplace, but in households, children must be monitored thoroughly. In other words, you have no idea who he or she is conversing with or chatting on a regular basis. Hacking here is ethical and you can do it using this app. Check for all the contacts and logs in details. Additionally, you can download the contacts data when required for future use. As stressed earlier, tracing the history of calls constitutes an interesting feature of FoneMonitor. Basically, you can check the browsing history without much difficulty. You can also get to know about which URL opened up and also at what time and the exact number of times. WhatsApp, Facebook, Instagram, Snapchat and other social media apps, photos, videos and such. This constitutes WhatsApp or Facebook messages, checking photos and videos and the likes. Imagine your kid gaining access to prohibited details or pictures that can cast a significant negative impact on him or her. Hence, FoneMonitor proves indispensable when it comes to tracking on what is actually being watched on the phone. Register for the account and Sign Up. Install the app on the device that you wish to monitor or track. Now log in using your credentials and soon you will see the dashboard wherein logs will get recorded. Bottom-line: Why choose the app at all? 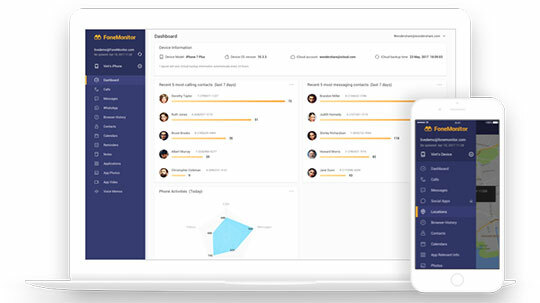 With all the above-mentioned features and easy integration and usability, it is quite obvious that most would recommend the use of FoneMonitor as a tracking app. Even the cost suits the pockets of many. But if you would actually think of using it, the list of benefits usurps everything else. And money takes a back seat! (You would surely invest on something that would prove functional for many and also purposes galore). Just remember how and for whom you must use FoneMonitor without actually causing disruptions in anybody’s life. After all, it’s just meant to make things a little easier and not complicated. Fonemonitor did not work for me. I tried after only 2 days to message someone about a refund. I got a message back one time and was told to send screenshots of my issues. Which was impossible to do. I have since asked for a refund 6 more times and have never heard back again. I’m thinking this is a scam of sorts. Why would an honest company blow me off and not refund me back as they can see I never got to use the product. If it doesn’t work on the target device then u can’t log in to see anything. I feel like I have been taken for 50 dollars. Wow, thanks, Fonemonitor what a huge help you were to me. This sounds way more like your issue than the software. The fact that you’re unable to add a screenshot of what you’re the issue is likely the reason why you haven’t received a refund. A 6-year-old knows how to perform a screenshot on a smartphone. If you don’t know how just ask Siri or say OK Google how to do I screenshot… The software works great for me and has performed as advertised. I am able to track locations and application details from my phone while they have no clue. Please add to your review that customer service is non-existent. I have sent probably 10 email inquiries. They say they’ll respond in 24-48 hours. I have yet to get one reply.